You said "we need to be able within the regional economic grouping to make sure we play a proactive role because Ghana has always been seen as a front-runner within African politics. In fact, Ghana was first in obtaining independence and the entrenchment of democracy." You can serve as a model. What can be attainable and what is the role that Ghana can have in Africa? 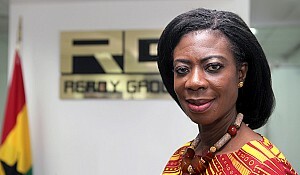 For us as a country, the focus going forward is on making sure that we create enough confidence in Ghana for people to look beyond the very obvious attractive investment areas and to look at the services sector as well as looking at developing other businesses that provide the supports to these larger sectors. My views have not changed. 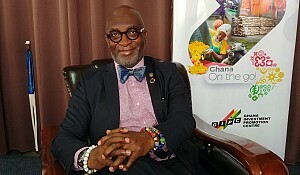 I do think that Ghana has the responsibility and the opportunity to play the role of a front-runner, to be proactive, to be a country that interacts with others, and to make sure as a group – whether at the regional level or at the larger continental level – we are able to agree amongst ourselves and put forward the kind of programs and initiatives that help us cooperate much better economically and politically to the benefit of our citizens because ultimately that is what a government is elected to do. When we became members of ECOWAS in 1975, it was because we believed that indeed ECOWAS, as an economic community of West African states, had a lot of potential for the development of the West African subregion as a whole irrespective of whether you were Anglophone, Francophone or Lusophone. Indeed, ECOWAS has achieved some successes though I would be the first person to admit that there’s more that we can do to push the integration agenda. I think that to the extent that Ghana is able to interact between Anglophone and Francophone neighbors within the ECOWAS region and persuade our colleagues - the member states to work together on these initiatives and collaborate on the initiatives that are suggested by other member states as a way to make sure those are effective, we are playing that role. When it comes to the continental level, we have never shied away from confronting the hard issues at the continental level. Our first president was very much involved in driving the whole agenda of African unity but also in driving the agenda of political independence for the African continent as a whole. By and large, we have achieved that. The next thing right now is for us to be able to achieve greater economic development, political integration, and of course social development. That is going to take a lot more work for the integration effort because as individual member states, if we are not able to coordinate effectively, we are not utilizing the potential that we have. 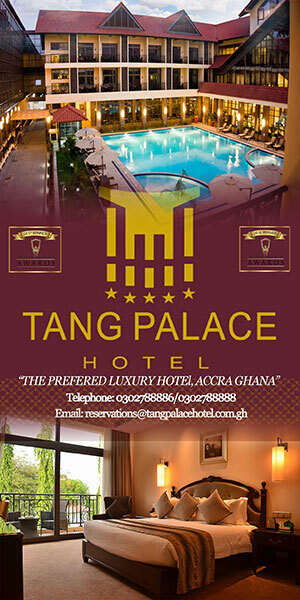 Regarding economic development, if you look at the major partners of Ghana, who are they? Because of the type of products that you are looking at, we also have a significant export to Nigeria. We export to Togo, to Benin, to Burkina Faso and to Mali, as well as to Cote d’Ivoire but our major exports – cocoa, gold, processed wood products and oil – are not traded within most of the African region and that’s what you see reflected in the exports, mainly to the European Union but also to other parts of the world. Over the years we have focused on developing exports within West Africa and Africa and right now we do on average about 12% of our trade within the African region. Yes, that is a number that could grow further but what it needs is the development of infrastructure and the support logistics services that facilitate trade. That generally is a weakness within the whole of both ECOWAS and Africa because the challenge of doing business with each other is that most of the infrastructure that we have that supports the movement of goods is outside of our continent and we don’t have enough infrastructure that supports trade within our continent. You can look at the dearth of railway lines, you can look at the lack of enough roads, and you can also look at the issue of shipping services and shipping lines which also makes it difficult for us to trade with each other. Those are the next issues that we need to be able to confront and confront well if we are going to be able to pursue this integration agenda. You could sell value-added products locally but as you are exporting raw material, it goes directly to Europe or China. When it comes to raw material exports, if we put it that way, yes, cocoa which is one of our largest exports, is exported both in terms of cocoa beans but also in intermediary cocoa products. You’ve got four of the major cocoa processing companies that have set up in Ghana specifically to move away from buying beans but rather exporting products with a certain level of value addition because it’s easier for their production processes to operate that way. You have Cargill, Barry Callebaut, and ADM that have all established in Ghana, specifically for that reason. 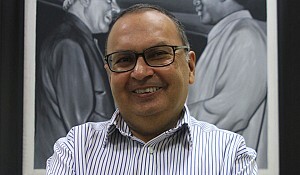 I do agree with you but when I was talking about doing trade with other West African and African countries, indeed our manufacturing sector – which is mainly involved at this point in light manufacturing – has as its market the West African subregion because it’s at that point that the products are competitive. As small as it is, and it is growing, that is where they find better acceptance for their products and where they are more competitive. This is the reason why, as far as we are concerned, we think there’s a lot more potential within the region and also within the continent as a whole for being able to export our products and also expand our manufacturing base. As a government, our challenge is how to support the manufacturing sector to grow it. We know that one of the biggest issues that we need to overcome is access to energy and that is the reason why we are focusing so much in investment in the energy sector because without that you cannot have a manufacturing sector that grows and expands and is competitive. We’ve got different pieces of the puzzle that we need to develop in order for all of that to come together and achieve the result that we want to achieve and that’s what we are focused on right now. The President says he is pushing for job creation in Ghana because when you look at what Ghana is good at, you find oil and mining which maybe doesn’t create as much employment. Of course you have tourism which you are trying to push. What are the priorities for Ghana’s social and economic development? As far as we are concerned, the priorities are investing in infrastructure and expanding access to productive infrastructure because it is key to improving our competitiveness. Indeed, when you look at the global competitiveness indicators, that’s the area where we have a weakness. It’s not to say we don’t have it, but we don’t have enough of it to support our further economic growth. So investing in infrastructure is very important. It is also important to be able to effectively manage the economy so we have a sound, stable, macro-economic environment but we also have the supporting systems to stimulate the micro-economy as well. That’s the point at where jobs are created. Investing in education is also important because we have a young population. If we are going to be able to make that young population productive, they have to be ready for the world of work, not just as employees but also as entrepreneurs. We also want to focus on the programs that we have initiated in order to encourage young enterprise – youth in enterprise – so they can also not just be waiting to be employed but can also start their own businesses and become employers themselves. When we talk about investing in infrastructure and education, having a stable economic environment, and making sure that we prudently manage our economic resources, we also recognize that none of that works if you don’t have a stable political environment. That’s the reason why as a country we have invested so much in our democratic development because we think that the successes that we have been able to achieve are partly attributable to the fact that we have had stability and we have a political system that allows for the exchange of ideas, that allows for real contests, and that allows for parties to be reasonably confident in the electoral process. When it doesn’t work, we believe that our institutions are strong enough to have the matter resolved in court and not resolved elsewhere. So the focus of the government is on what we call the pillars – the economy, infrastructure, people, political stability, good governance – in order to make sure that by focusing on all of these areas, we create the platform on which progress is made and on which we secure our economic future. What is Ghana looking for in terms of business corporations and foreign investments? What is the challenge of attracting foreign investors? We have had significant investor interest in things like oil and gas, mining and energy and to some extent in manufacturing which is mainly focused on exports like the cocoa processing activities I just described. What we haven’t had as much of is the medium-sized businesses that become part of larger businesses that are part of growing an economy. Another thing that we haven’t had as much investment in is logistics and transport because again those are very key towards promoting efficiency. For us as a country, the focus going forward is on making sure that we create enough confidence in Ghana for people to look beyond the very obvious attractive investment areas and to look at the services sector as well as looking at developing other businesses that provide the supports to these larger sectors. Here we have the oil and gas industry which is largely extractive and is off-shore and so to that extent, it’s not a major job creator in and of itself. 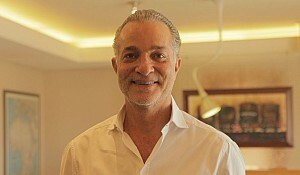 But the oil services sector that could either go to companies that are not Ghanaian or that we can attract companies that are not Ghanaian to develop in Ghana and develop our local talent and our local skills as well and to create that participation, that will allow Ghanaians to feel that they are not just benefiting from this resource in terms of revenue, but they are also benefiting from this resource in terms of job creation. That is the focus going forward. To make it simple, what we are telling investors is that this is a country that has a record of strong institutions, of stable systems of government, and of prudent economic management. Yes, we have had our shocks as everybody else in the global environment has had over the last couple of years, but even then we have been on a very strong trajectory of growth and we project that going forward it is going to be very much the same. This is now the opportunity to be part of what is, I think, the most significant emerging country on the West African coast and to be part of our growth and development. Doing that and being a part of that will definitely be to their company’s advantage as well. Think about it – a couple of years ago, twenty or thirty years ago, we were nowhere near the position we are in now. Now we are the second largest economy in West Africa next to Nigeria and we only just discovered oil. So we definitely think we have a positive story to tell and a good invitation to make. An issue here that is in the news, the government rounded up 2002 Chinese nationals who say they were working as illegal small gold producer. Ghana arrested Chinese miners. The message that you are sending to a country as powerful as China proves your determination and political courage. Is this the way you want to be perceived internationally? We want to be seen as a country that respects the rule of law and respects and enforces our own laws. It is only when we respect and enforce our own laws that you can be sure that when you come here you will be protected by them. For the Chinese, it is a complex message to deal with because they are all over Africa. Suddenly if in one of these countries there is trouble for them I think it is a serious threat. We don’t see it as a threat. We have Chinese businesses here that have gone through the proper channels and have invested, who are doing business in Ghana and who are protected by the laws of Ghana. But small-scale mining is an activity that by law is reserved for Ghanaians and there is a reason why that is the case. Small-scale mining, alluvial gold mining has been taking place in this country for centuries. After all, that is the reason why the British got to know there is gold in Ghana and they called us the Gold Coast. It wasn’t because they started it, it was because it was a practice that was already in existence. Small-scale mining, even though if not managed well can have negative environmental consequences, because we have a system for engaging small-scale miners, it was something that by and large we were able to manage. When there was the influx of Chinese citizens in the small-scale mining activity, it did not become quite the same anymore because they were using heavy-duty earth-moving equipment and were diverting the sources of rivers in a way to be able to have better access to the gold, but at the same time they were doing serious damage to the environment. We didn’t get up from one day to the next and say this is what we are going to do. We had engagement with the Chinese embassy here over time and we pointed out that the small-scale mining sector and the retail trading sector were areas that were, by law, reserved for Ghanaians. 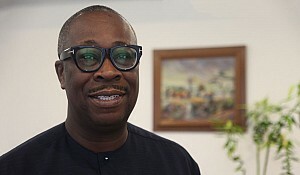 I remember when I was Minister of Trade, we gave six months’ notice that we had laws regarding the reservations of retail trading for Ghanaians and we were going to enforce those laws, but six months before that date we were telling you about it so you knew that this was coming and you could change your behavior. Likewise, when we were going to begin this activity with the small-scale mining sector, we didn’t just start it from one day to the next. We engaged, we invited officials from the particular province in China where a lot of these miners come from to discuss it with them, and we gave them an indication of what we intended to do. We wanted to cooperate with them to deal with the problem so that it would make the issue easier to deal with. We also indicated that if we didn’t have cooperation, we would go ahead and do it anyway but we would prefer to work with them. I think that, as regrettable as it is, we had to round up so many Chinese illegal immigrants who were working in the mining sector, we believe that it is an opportunity for us to engage with China and to be very specific on the framework for cooperation. Because it’s not the case that we don’t want Chinese investment, but in the same way as we don’t want any other nation to come and take advantage of perhaps our weaknesses in terms of not being able to effectively monitor everything that goes on in the most remote parts of the country. Because again, it’s not the work of the nation or the state as a whole. I don’t believe any of these Chinese citizens who came and were sanctioned by the Chinese government to do what they did. But when nationals from other countries come into our country and attempt to take advantage of our system or are operating clearly as illegals with criminal intent, it doesn’t really matter who they are, we will begin and we have indeed shown that we can enforce our legal system against them. The political trade cooperation between the EU and Ghana is based on the ACP EU Partnership Agreement ("Cotonou Agreement"), can you give us your assessment of this partnership? The European Union is one of our most important trading partners because a significant amount of our exports goes to the European Union. We also have a significant amount of imports from the European Union mainly, but not exclusively, in the form of equipment and capital goods. Market access to the European Union on a duty-free, quota-free basis, is important because it helps make our products more competitive. As you know, over the last couple of years the EU has been negotiating economic partnership agreements with different regions. But economic partnership agreements on a regional basis have also been accompanied by what are called interim economic partnership agreements on a country basis for countries that were not classified as LDCs and therefore could not benefit from the everything but arms initiative. Our view is that even though we have initialed an economic partnership agreement with the European Union, we have not ceased to be members of ECOWAS and therefore it is our goal and our objective to, within the framework of ECOWAS, work with our colleagues to be able to achieve a regional ECOWAS economic partnership agreement because that’s the way it is supposed to work. Indeed, the agreement we have with the EU is called interim precisely because it has always been anticipated that once there is a regional agreement, our interim agreement will no longer be valid. So that has been our position for a while and that will be the position going forward, that we would like to continue to engage the EU within ECOWAS to work towards an ECOWAS economic partnership agreement but in the meantime we have an interim economic partnership agreement with the EU. Let’s talk about the Islamic threat within the subregion. The president of Ghana recently met with the president of France. France was very active in Mali and Nigeria. What is the impact of the Islamic threat on Ghana’s foreign policy? In the first place, we don’t see it as an Islamic threat, we see it as terrorism because you see, when people engage in terrorist acts they can use all kinds of reasons to justify that terrorist activity. It doesn’t the change that they are terrorists and we should identify them as such. People do all sorts of things in the name of their religion but that doesn’t change the fact that there are a lot of people who belong to that religion who don’t subscribe to those methods and neither do they subscribe to that kind of theology and thinking. For that reason, we don’t want to characterize it as Islamic. We want to see it as we think it is – terrorists. Yes, of course the majority of Islamic people are peaceful. Therefore, the focus has to be on how we improve cooperation within our subregion to be able to deal with the challenge of terrorism. We must also recognize that the underlying causes of this instability are poverty, lack of opportunity and people who feel they have nothing to lose. When people feel they have nothing to lose, they can always resort to desperate measures. Being able to improve our governance, our economic cooperation and the state of our economies, then you are able to create fewer opportunities for activities of this nature. Specifically regarding what has happened over the last number of months, there has been cooperation between ECOWAS in working with France to respond to the acts of aggression in Mali. AFISMA was deployed very early in the day after the French started their activities against the terrorists and the insurgents. Now from AFISMA we are moving to MINISMA which has brought the whole operation under the UN umbrella. According to the path that was developed for returning Mali to having elections, I wouldn’t say democracy, and then having a newly elected government, good progress is being made with the recent agreements signed with the MNLA and other groups and it paves the way for elections to take place also in the northern part of Mali, which is important in order to be able to consolidate the peace process. We look forward to continuing to work with other ECOWAS countries and of course with the Malian government to be able to support them to go through this process and bring the country back to a stable form of government. What we also think is important to do is within ECOWAS discuss amongst ourselves and to support again the Malian government to deal with the problems they have had with the differentiation and development across the country. Because again, if you are not able to provide people with opportunity and they feel they don’t have choices, at some point in time they will not engage peacefully; they will engage violently or support other forms of violence and insurrection. I hope the lessons learned will make sure we don’t walk down this path again. What is your vision for the future and up until the end of the current president’s term? What will you be working on this term and where will Ghana be in three or four years? Ghana in three or four years’ time will be a country that has increased its stock of productive infrastructure, that has been able to create more educational opportunities for its young people, that has invested overall much more in its people, in education and in healthcare, that has supported the creation of new businesses, that has worked towards making Ghana an even more attractive investment destination than it currently is on the west coast of Africa and within Africa, and that will continue to play a proactive role within ECOWAS, within the African Union, within the UN and other multilateral agencies of which we are members, to be able to contribute to the progress of peace, security and stability. More particularly, over the next three years, because we are halfway through the first year, the next three years of President Mahama’s term, we definitely will be working towards improving our cooperation with our neighbors because we think that it’s important not only for political stability but also for our economic growth. Therefore we should make it easier for us to do business with each other and cooperate on developing infrastructure that would be mutually beneficial so that we can achieve that goal of having a more diversified trading base and doing much more with Africa as well as continue doing business with the rest of the world.